The paperback of the critically-acclaimed popular science book by a writer who is fast becoming a celebrity mathematician. Prime numbers are the very atoms of arithmetic. They also embody one of the most tantalising enigmas in the pursuit of human knowledge. How can one predict when the next prime number will occur? Is there a formula which could generate primes? These apparently simple questions have confounded mathematicians ever since the Ancient Greeks. In 1859, the brilliant German mathematician Bernard Riemann put forward an idea which finally seemed to reveal a magical harmony at work in the numerical landscape. The promise that these eternal, unchanging numbers would finally reveal their secret thrilled mathematicians around the world. Yet Riemann, a hypochondriac and a troubled perfectionist, never publicly provided a proof for his hypothesis and his housekeeper burnt all his personal papers on his death. Whoever cracks Riemann's hypothesis will go down in history, for it has implications far beyond mathematics. In business, it is the lynchpin for security and e-commerce. In science, it has critical ramifications in Quantum Mechanics, Chaos Theory, and the future of computing. Pioneers in each of these fields are racing to crack the code and a prize of $1 million has been offered to the winner. As yet, it remains unsolved. In this breathtaking book, mathematician Marcus du Sautoy tells the story of the eccentric and brilliant men who have struggled to solve one of the biggest mysteries in science. It is a story of strange journeys, last-minute escapes from death and the unquenchable thirst for knowledge. Above all, it is a moving and awe-inspiring evocation of the mathematician's world and the beauties and mysteries it contains. 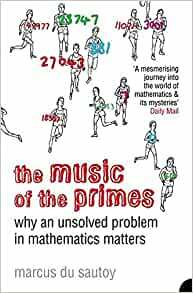 A brilliant summary regarding prime numbers, with the best explanation in general terms of the Riemann Hypothesis and its implications that I have yet come across. The many biographical inclusions of pioneering mathematicians makes for added interest, and extends to computing and cryptography, finally embracing quantum chaos. 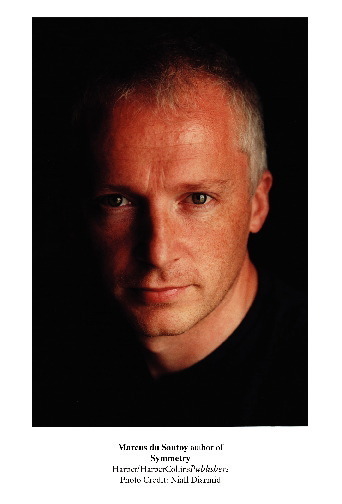 First published in 2003, this is still a very modern book by Marcus du Sautoy, and at Amazon;s price of just $10.17 US, why wouldn't you include it in your library? A great read. Great read for math and non-math types. Many mathematicians lives seems sad and lonely. But there's the rush of discovering something. Riemann's housekeeper: argh! It does read like a detective novel. Clever writing. The author is a distinguished mathematician so this work is trustful. Sometimes the pop-science books written by journalist or so are not accurate in some sense. The coverage is comprehensive and he discussed about some most recent (up to the time when writing) mathematicians. The bad news is that the paper quality is not good. It feels like the book you can find in super market for $1. The only advantage is that it is light weight. Well written excursion into the history of number theory, from Euclid, via Euler, Gauss, Riemann, and Hilbert to the not so well known modern researchers. I just wished the relevance to modern-day encryption with public keys could have been explained in more detail. 3.0 out of 5 starsA good read, but at times too wordy. Anyone interested in number theory would enjoy this book. I would have liked it more if the author had observed S&W's rule 13: "Omit needless words." "You don't need to count your words, but all of your words must count." This is a fantastic history book on the efforts of some of the greatest mathematical (and physicist's )minds from Gauss and Riemann to Selberg and Alain Connes in their efforts to crack one of the most beautiful problems: the distribution of prime numbers. Some of the greatest insights in mathematics and in science are when somebody makes an unexpected link between two different areas. This is what the genius of Riemann suggested connecting the prime numbers to the zeroes of a function of complex variable. The conjectured location of the zeroes of this function, the Riemann Hypothesis, is the only unsolved problems of Hilbert's list and has become, with all the honours, one of the Millenium problems, worth one million dollars, but that is nothing compared to the instant glory acquired by whoever can solve it. Unlike the other famous problem, Fermat's Last Theorem, many theorems depend on the Hypothesis. The book reads like a thriller and indeed some of the anecdotes are those of thriller, like the mysteries still contained in the remaining unpublished papers of Riemann, the Nachlass, and the disappearance of one of his notebooks and the destruction of a large number of his notes by his housekeeper. Another example is André Weil being accused of espionage in Finland for writing mathematical letters to Russian colleagues, being condemned to death and being spared of the death sentence by a chance dinner of the Police Chief with Nevalinna (a Finish mathematician) the night before the execution. Billions of zeroes are known to be in the critical line and even we know that a high percentage are there, but we cannot prove with absolute certainty that they are all there. And, as Littlewood, showed, great empirical evidence is not a guarantee of mathematical certainty. It was interesting to learn that there is a formula that outputs (when the value is positive) all primes and only primes. This is a highly recommended book for all people interested in mathematics, although some college level of this subject will make it easier to digest. An excellent history of the mathematic fraternity over the past three or four centuries. The Riemann hypothesis being the one major challenge for the other mathematicians to prove right or wrong. The author follows a step by step timeline with the prodigious attempts in each period explained in detail. Easy to read and follow if you are mathematically inclined and difficult to put it down. This is the best mathematics read a person can get when it comes to branching out and focusing on a specific concept. Even if you're not into Math or Science, I suggest the cult education on the topic.